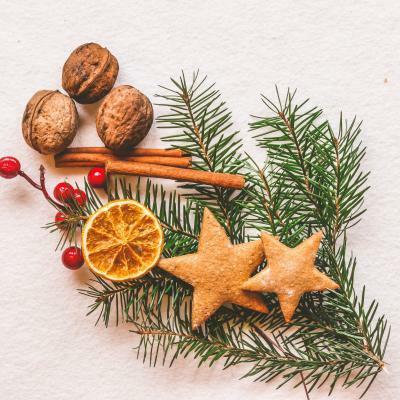 Sweet Treats Your Guests Will Love! 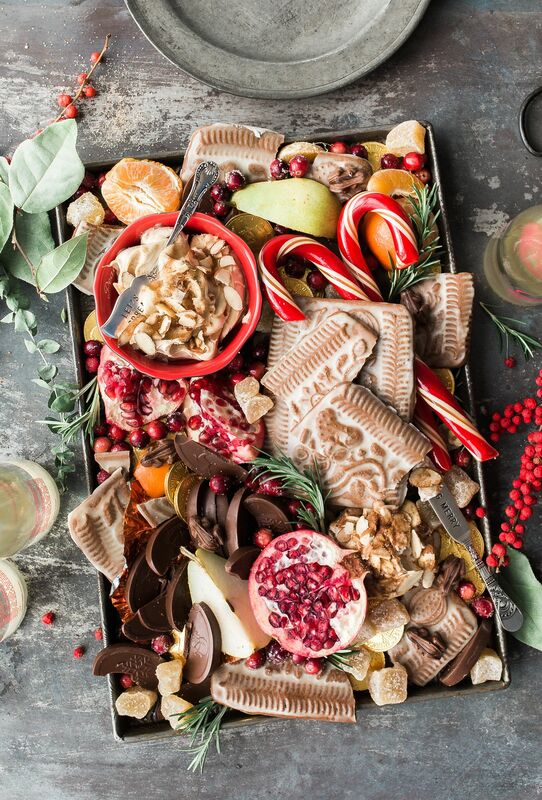 Today, we’re talking sweet creations that will leave you utterly stunned. These sugary treats bowled us over and will undoubtedly bowl your guests over too! 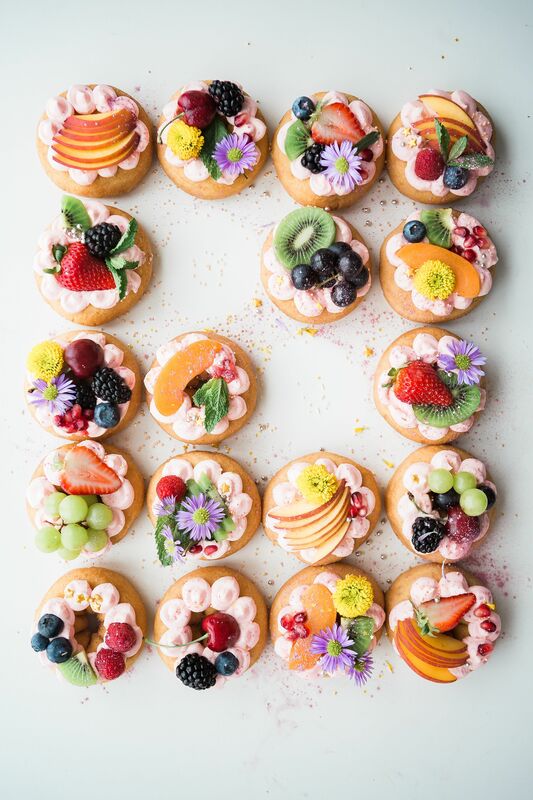 These donuts ordained in fruit, berries and icing may leave your guests wanting to take them home as souvenirs rather than eat them! Either way, the beautifully decorated donuts will make wonderful talking points. 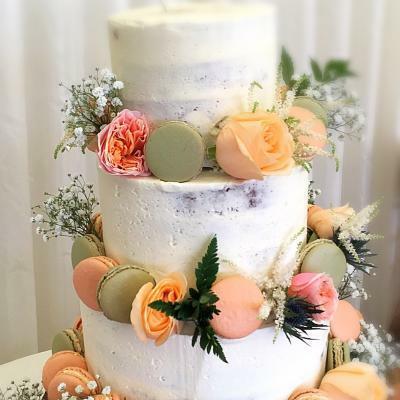 Macaroons are the makings of a luxuriously relaxing summer, afternoon tea but here at Fund Your Wedding, we’ve managed to find a wedding stand that brings a truly British Tradition and combines it with elegance to create a truly stunning centerpiece. 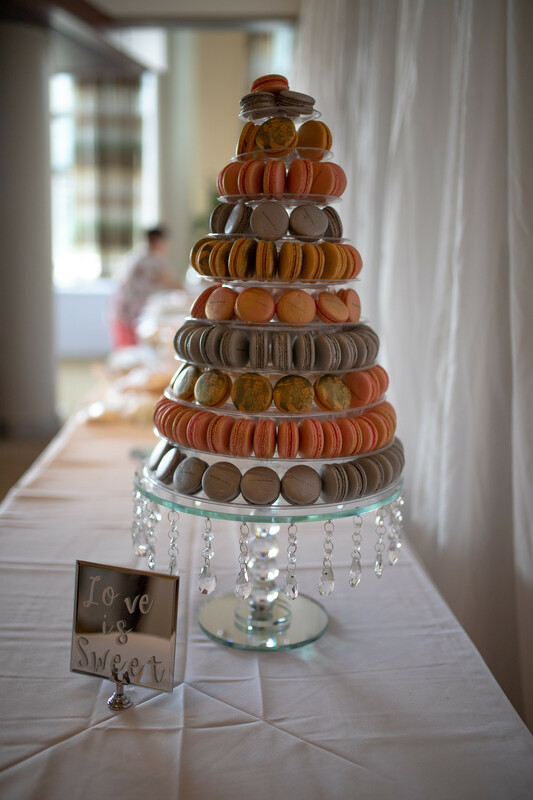 Match your macaroons with your colour scheme for maximum effect! 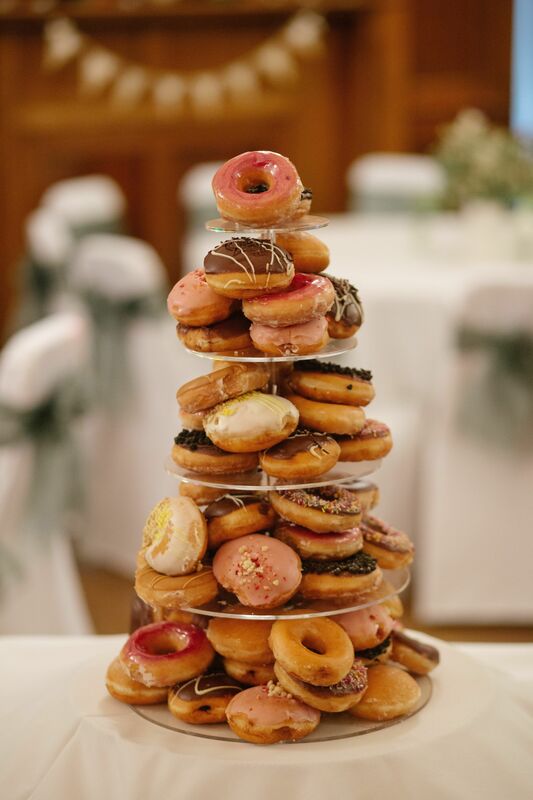 We’ve shown you towers of donuts before but if you’d prefer something a little less branded and a little more elegant then this towering and decadent delight will not leave you disappointed. Ice you donuts to match your colour scheme, incorporate various tones and shades and this is sure to be a wonderful centerpiece for your big day. These Nevie Pie cakes are beautifully hand painted and look absolutely exquisite. There is a huge range of original and hand painted delights to choose from so being able to match a cake to your theme, should be… well… a piece of cake! Browse their full collection here. 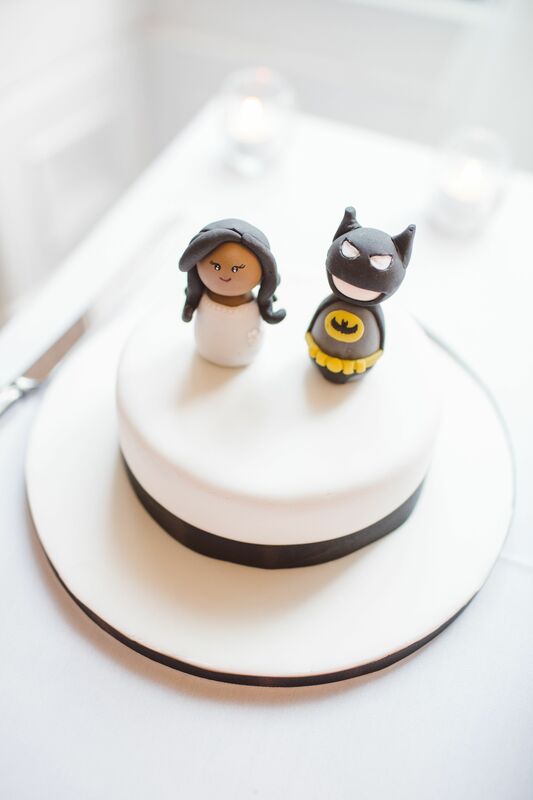 If you’re looking for a touch of cartoonery and fun, then this lovely cake displaying a bride and groom could be right up your street. We absolutely love this idea. The fine detail, hand finished touches and magnificent embellishments all thrown together makes this a classy option for your wedding day. Your guests can dive right in and help themselves. 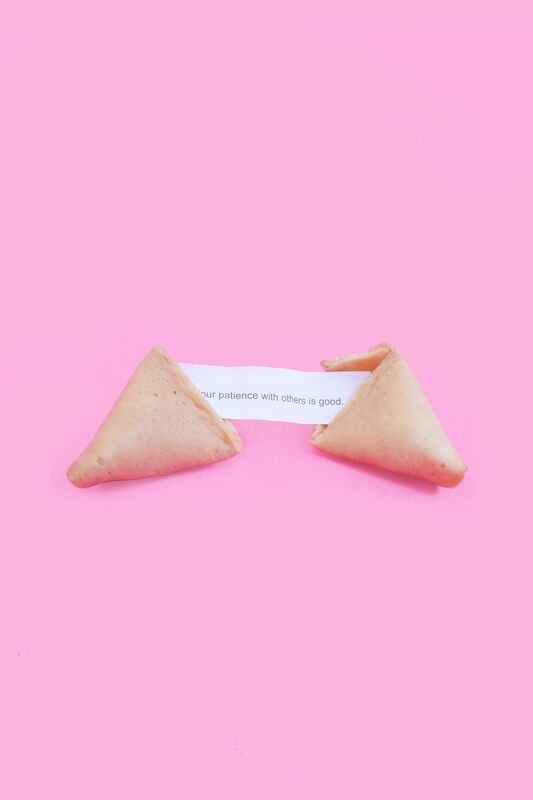 Why not hand out fortune cookies as your wedding favors? Not only will your guests enjoy devouring these but they will also create a fun atmospheric environment. We’re sure you’ll agree that much of what we’ve selected is a cut above your average cake. Some are works of art, others are creative masterpieces but they all have one thing in common and that is the ability to stop the show and shout ‘look at me!’ If you want to wow your guests then take a little inspiration from here and create something truly memorable. 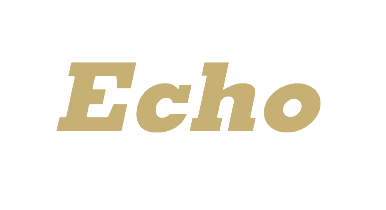 Looking For A Trusted Supplier? 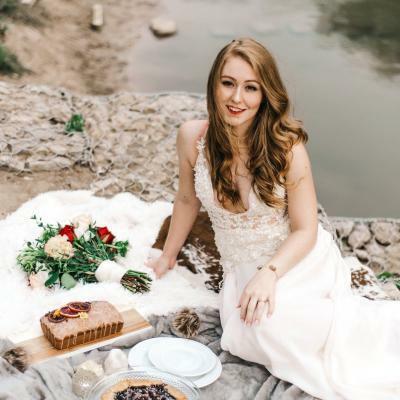 Funny Wedding Photos You’ll Love!